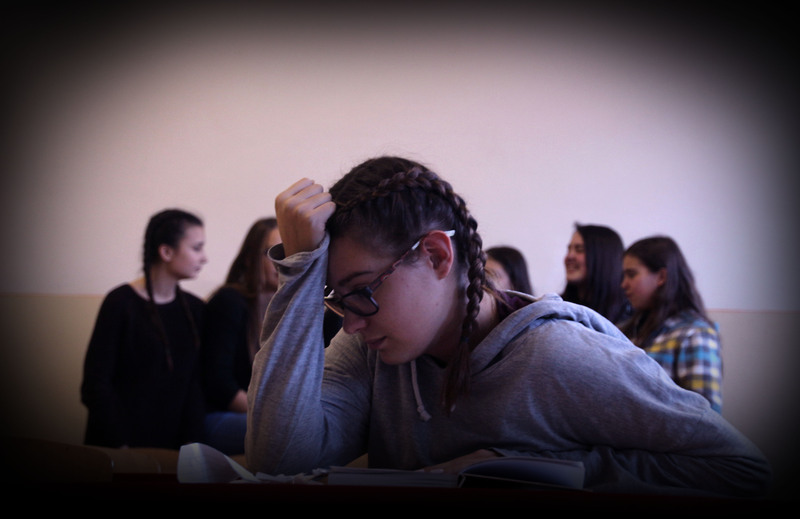 The writing and photography competition organized by the Youth Parliament in Turčianske Teplice in Slovakia reached its goal. Ten talented possibly future authors and poet had written reflections, narratives, and also poems on very recent themes and topics such as human rights, bullying, hate speech and discrimination. Three young and passionate photographers took seven inspiring photos showing different situations connected with the topic. To make the competition more serious and results more trustworthy, the Parliament´s Youth have invited well-known poet Ondrej Nagaj and photographer Gusto Hegedüš to join their jury. Together they decided the winner. Decision was very difficult because every single text or photo was either thought-provoking or heartbreaking and artistic. 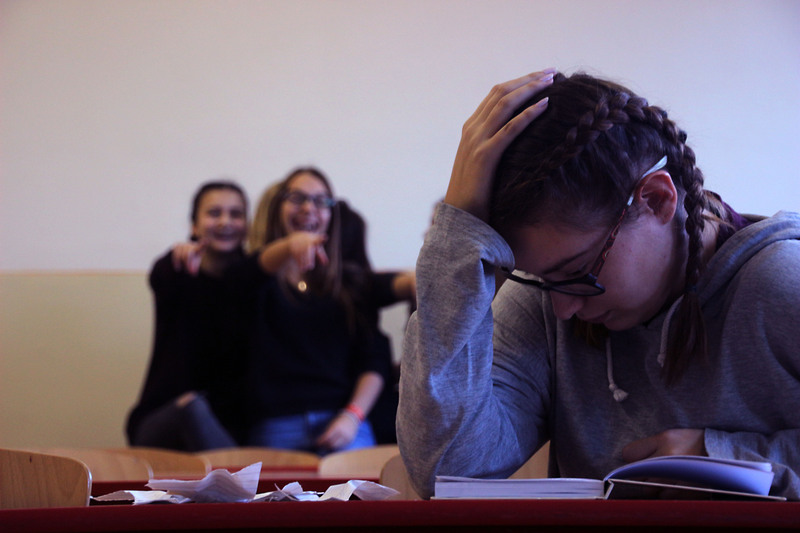 University student Filip Hrivnák was the winner of the writing category with his pensive poem about bullying at college, based on actual situations. 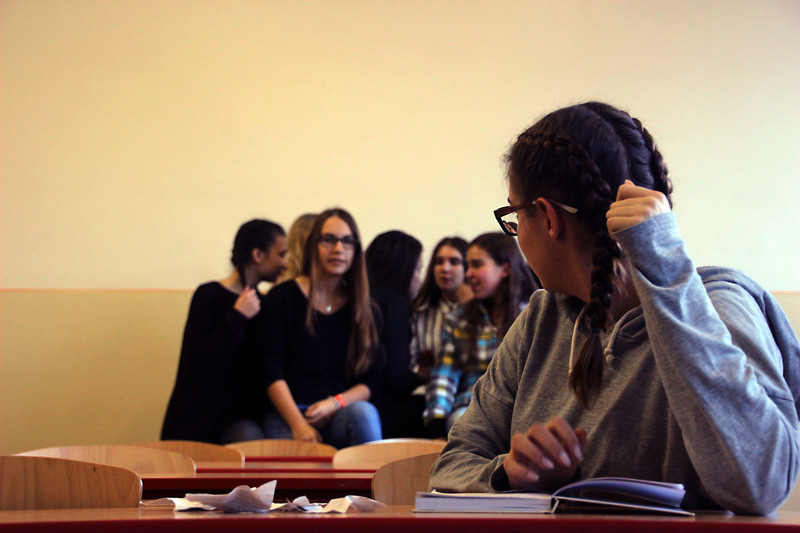 Martina Švecová, high school student, won first place in the photography category with her series of photos of a girl bullied by her classmates. Work of other showed compassion and empathy to people with several destinies – victims of domestic violence and discriminated Romas and refugees. But at the end the most important message was to live and let live. Peacefully. V tej chodbe dievčina sedela. Zastavil som, že ju objímem. Vracal som sa tou chodbou späť. Chodba zostarla a ona tiež. Tvár mala cudziu, aj šaty. Tí, čo sa smiali, sedeli tam s ňou. Posledný raz som tou chodbou šiel. Medzi nimi, bola známa tvár. Lebo zlosť sa šíri ako choroba. Through the dark I walked. I stopped to hug her. Through the dark, I was coming back. I wasn’t asking for your help, she said. Dark got older and she so. Face and dress were strange to me. Sitting with those who were laughing. I heard them giggling ? Last time I came to dark. They pushed me to the corner. Familiar face I saw between them. In anger she found friend. Where she used to cry. Because anger is illness and it spreads.